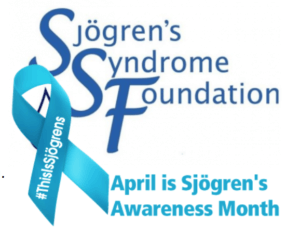 There are numerous awareness months and for April, the emphasis is on Sjogren's Syndrome. After 8 years of living with rheumatoid disease and a few other AI disorders, my newest companion, Sjogren's Syndrome, rolled in back in February of 2017. It was at this time that the doc said, "No more." And after 11 long years of symptoms, tests, scans, hospitalizations, and more, with this additional diagnosis, the doc said, "You just can't keep doing this." I remember saying, "But I want to keep working," and he gently said, "I'm trying to keep you alive." If you have the auto-immune disorder Sjogren's, I want to speak to you directly. Join hands with me and those who join this community of chronic's. The Sjogren's walk is so challenging. While it answers sooooo many questions my doctors and I had over the years, it is a beast and not for those who don't have some fight in them. But then, that's true of all of these auto-immunes. What crazy chronic lives we lead, yes? 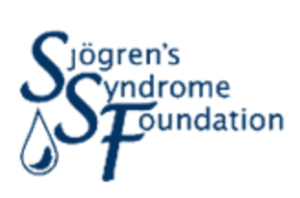 Here's a link to a great resource about Sjogren's Syndrome (SjS). There are lots of articles about symptoms, the diagnosis process, tips for living well with SjS, and other resources to help those on this journey. Blessings to my Sjogren's family out there. My thoughts are with you this month (and all months!) as we climb this hill together. The gaze is beautiful at the top, and we get there by putting one foot in front of the other. Discussion: Do you live with Sjogren's? What was your biggest surprise along the way? What is your biggest challenge now?